Borderlands creator and famous developer, Gearbox, reveal new details regarding their latest game, Battleborn. Battleborn, as you expected, will have some of the core features of the Borderlands franchise as Battleborn is a FPS title that can be played in co-op mode with a friend. Although Battleborn is said to have some MOBA gameplay elements. 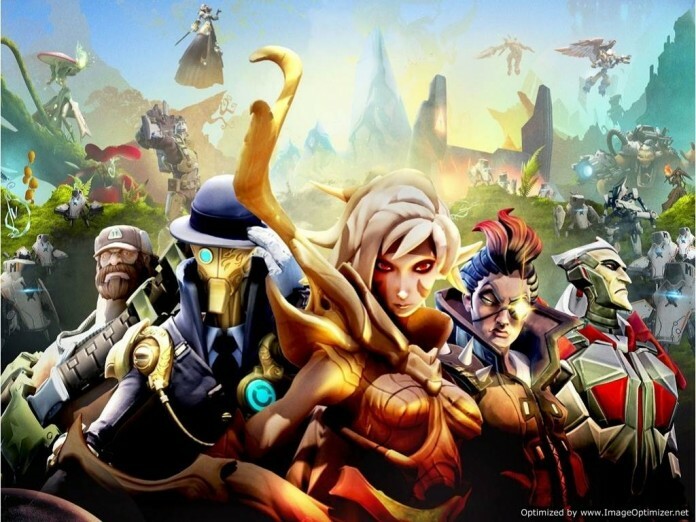 Battleborn, as diverse the characters were in Borderlands and how each had his/her own personality and fighting style, will be no different as Gearbox said that the game will feature 25 playable characters instead of the 4 that Borderlands had to offer. Each of the 25 characters is said to have a unique personality and style. Gearbox VP Steve Gibson explains more concerning how the game came to mind, the game’s genre mix and how the characters were developed. Gibson also explained Battleborn’s story further, the main story of Battleborn revolves around the end of all the stars in the universe with the exception of one final star that every race gathers around. They eventually find out the other stars’ death wasn’t just normal but an evil force was behind it and now the evil force is set to destroy the final star in the universe. This is where you step in and since the game will offer many different characters, they will be divided into factions that each has an ideal plan of survival. Factions will fight against each other and this is your PvP mode ladies and gentlemen. Here is where things get interesting and new, Gibson states that you won’t have to play with each one of the 25 available characters to level it up, unlike Borderlands, but their will be an overall progress linked to your account. Also each one of the 25 characters will have their own look, abilities and a distinctive and deep background story. He also stated that during conversations, each character will reply according to their race’s opinion and their life which is pretty difficult but amazing if pulled off correctly. Next articleSega Registers Dawn Of War 3 Domain, Will It Happen ?